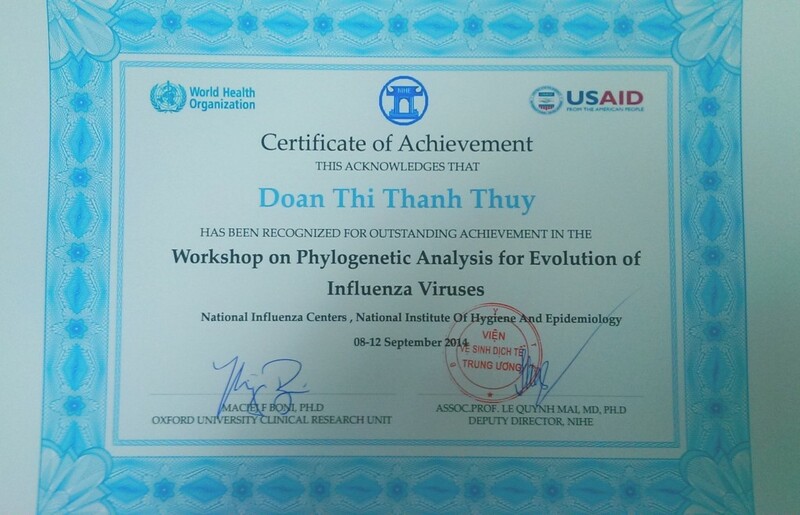 In September 2014, OUCRU organized and taught the “Workshop on Phylogenetic Analysis for Evolution of Influenza Viruses” for the WHO Vietnam Country Office and Vietnam’s National Institutes for Hygiene and Epidemiology. 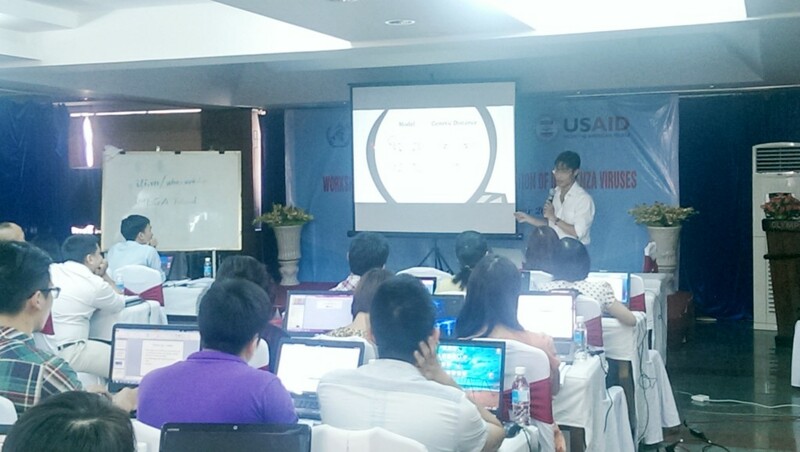 The courses were taught by Ha Minh Lam, Maia Rabaa, and Maciej Boni, and participants came from Vietnam’s national research institutes and provincial public health agencies. The workshop lasted five days and gave the participants an introduction to basic phylogenetic theory, phylogenetic tools, as well as some practical exercises on understanding influenza evolution. 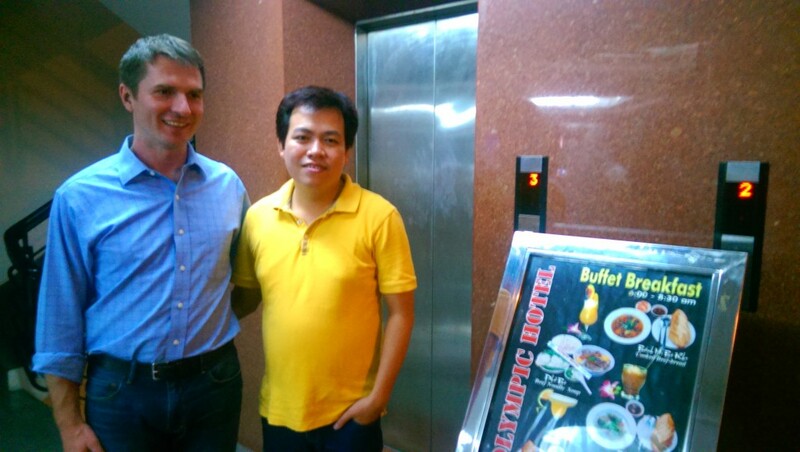 In the evenings, the workshop participants and organizers relaxed in Nha Trang’s cool weather and beach-centered nightlife. Lectures and practicals were run every morning in the seminar room of the Olympic Hotel. At the end of the workshop, participants received a certificate of completion. Thanks very much to Dr Mai from the National Institutes of Hygiene and Epidemiology for her support, and to Ms Phuc from the WHO Country Office for her help in organizing the workshop and inviting the participants. Maia Rabaa declined to be photographed for this post.